Forum counter code help you to count Total Message, Total Topic/Theme, Today Created, Today Posted in your WAPKA website forums. To add this on your site. 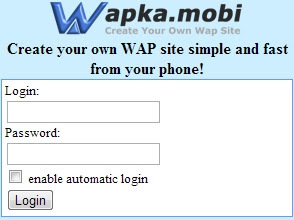 Simply log in your wapka account Admin Mode. Past below code on text area and change 'FORUMID' to your forum id. To find forum ID go to the forum and find it on bottom of the forum. After change the forum ID click on Submit Button. Excellent post. This is more informative. It is very much sharing and enjoying. we enjoy so much through this. Can u desiqn me site like http://globaze.wapka.mobi ? As I'm a cricket freak, I want to create a forum for live cricket score discussion. Can you please help me out with this? Thanks in advance. @surendra nath This url (http://www.teckplus.in/2012/12/wapka-shot-box-code.html) will help you to create a shout box on your wapka website. Shout box is suitable for live discussions.